For two years Isabelle Hains and other grieving parents, who lost their sons in one of Canada's worst highway tragedies, have campaigned for a national ban on 15-seat passenger vans. On Thursday, Hains will watch from the visitors' gallery of the House of Commons, to witness what she hopes is the first step in that process as her New Brunswick MP, NDP House whip Yvon Godin, introduces a private member's bill aimed at outlawing 15-seat vans for student travel. Twelve- and 15-seat vans have been called "death traps" by U.S. consumer watchdog Safety Forum, and the U.S. government has banned their sale for the purposes of transporting children. But the vans are still in widespread use across Canada by schools, daycares and youth programs. 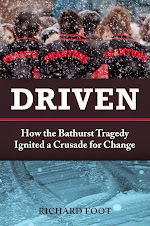 Hains' son, Daniel, and six other members of the Bathurst High School basketball team were killed, along with a teacher, when their 15-seat school van swerved on the Trans-Canada Highway and collided with a transport truck in northern New Brunswick in January 2008. A subsequent coroner's inquest recommended the vans be banned across Canada for transporting students to school-based and after-school activities. However, a Canwest News Service investigation revealed last year that only three provinces — Quebec, New Brunswick and Nova Scotia — have enacted a ban, and that the vans remain in widespread use in dozens of city and rural school districts from Ontario to British Columbia. In B.C., a 2008 government survey showed that 15-seat vans were in use at more than half the province's 60 school districts. Fifteen-seat vans were originally designed as cargo vans, but were equipped with rows of seats in the 1970s. The vans contain none of the common safety features of cars or minivans — such as steel side plates, reinforced roofs or laminated windows — that protect passengers in a crash. The vans also have a dangerously high centre of gravity and a propensity to fishtail at high speeds. The U.S. National Highway Traffic Safety Administration says they are more prone to rollover crashes than any other vehicle. The U.S. government now prohibits their sale for the transport of children, and more than 30 states also ban their use by schools. 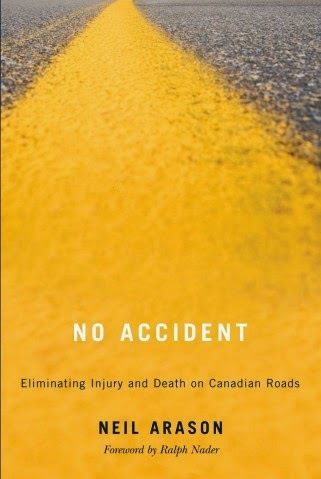 In Canada, a similar series of accidents has led to few such restrictions. "Schools in this country are required by law to take children to school in yellow school buses, the safest vehicles on the road," says Hains. "But in the evenings and on weekends they're being transported in 15-passenger vehicles that don't have the same safety features. "I don't understand why Parliament just doesn't go across the board and say, 'No one can use these vehicles.'" A Transport Canada report on the New Brunswick tragedy blamed the crash on bad winter weather, driver error, and the poor mechanical condition of the school van — not on the van design itself. However, the coroner's inquest said the accident was triggered when the van's driver lost control of the vehicle after he tried to correct his steering, upon hitting the shoulder of the road. Loss of steering control is a common feature of 15-seat van accidents across North America. Transport Canada has said restricting vehicle use is a provincial matter. But Hains says the federal government could take action by imposing rules on who can import the vans and who they can be sold to. "Members of Parliament are mothers, are fathers, too," she says. "I hope they listen and do what's right to keep children safe, because our children can't speak up for themselves." It's not clear whether the Harper government will support the private member's bill. Transport Minister John Baird did not respond to queries on the matter Tuesday. Godin says he has told Hains and other New Brunswick parents that private member's bills are sometimes "long shots" at becoming law. "All I can do is put the bill in the House, and then start my lobbying," he says. "I honestly hope the government supports it when they see my bill."